Today, hubby and I ran the track at Haddon Township High School otherwise known as Hawk Country. 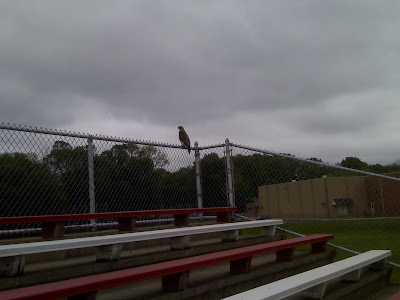 As we passed the grandstand, we saw an actual hawk. I guess they weren't lying. 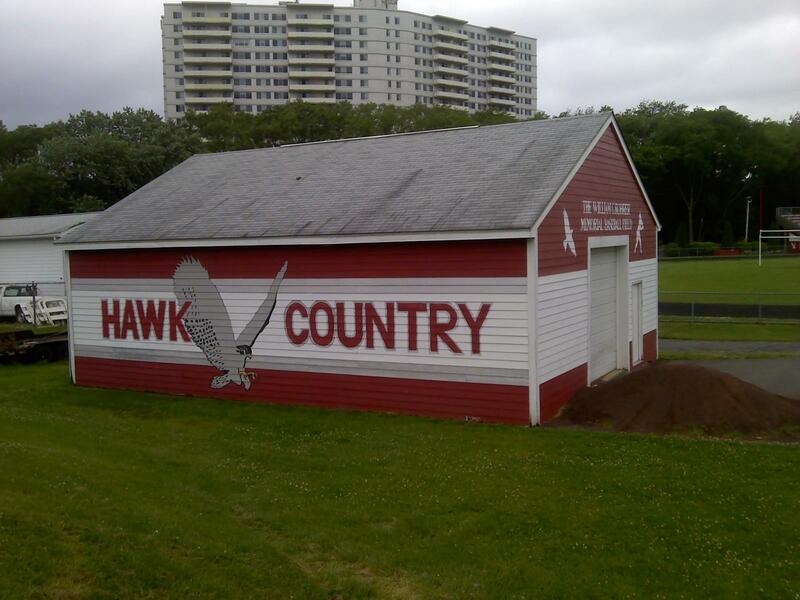 It really is Hawk Country. Remind me never to run in Bear Country... or Cougar Country... or Gator Country. Although, if I did see an actual bear, at least I would already be running.